Season two of 'iZombie' is expected to come to an explosive end tonight during its two-hour finale. If you thought season one's cliffhanger of a finale was epic wait until you see what the show's creator Rob Thomas has planned. "This season finale will not only be bigger than last season's finale, but I would even say a lot bigger -- twice as big," executive producer and "Veronica Mars" mastermind Rob Thomas reveals. "It may be the biggest episode of television I've ever had my name on." Thomas also teases that not everybody makes it out alive either. Major is in jail hungering for brains which could spark a widespread zombie apocalypse if Liv doesn't find a way to get him out. At some point during the finale, Major joins Liv and Detective Babineaux in infiltrating Vaughn's party and Ravi isn't very pleased about Blaine reaching out to Peyton. 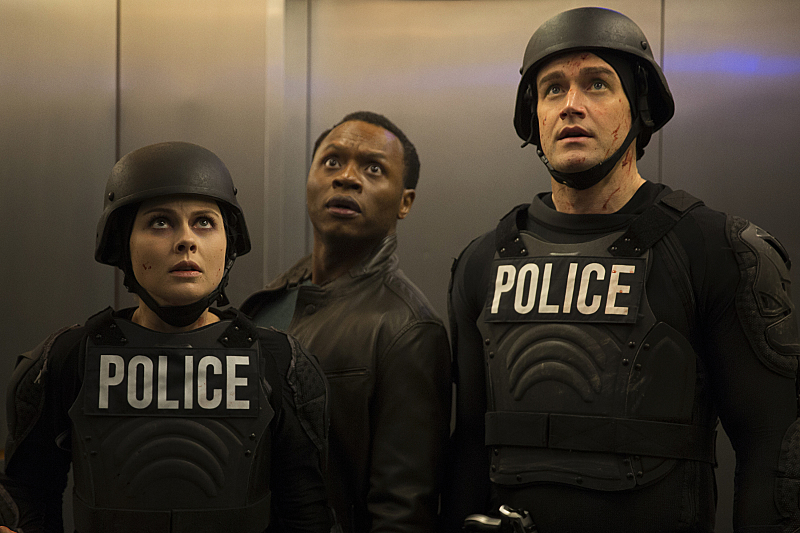 The two-part "iZombie" Season 2 finale airs tonight at 8 p.m. ET/PT on The CW. ROB THOMAS (MATCHBOX 20) GUEST STARS — Working together on a mission, Liv (Rose McIver), Detective Babineaux (Malcolm Goodwin) and Major (Robert Buckley) crash Vaughn’s (guest star Steven Weber) Super Max Rager party, where Rob Thomas (as himself) performs a song from his solo career. Meanwhile, Blaine (David Anders) reaches out to Peyton (guest star Aly Michalka) for help, which does not sit well with Ravi (Rahul Kohli). Michael Fields directed the episode written by Bob Dearden (#219). Original airdate 4/12/2016. Can Liv rescue the men in her life? Find out on iZombie's two-hour finale event Tuesday at 9/8c on The CW! Executive Producer Rob Thomas previews Tuesday's two-hour iZombie season finale event, starting at 8/7c on The CW! Can Liv stop a zombie apocalypse? Find out on iZombie's two-hour finale event, Tuesday starting at 8/7c on The CW!